TORONTO, May 5, 2008 – At a time when financial reporting is becoming increasingly important to organizations of all types and sizes, Ontario’s diverse and growing not-for-profit sector must keep up with the trend towards best practices. In the interest in promoting timely and accurate financial statements, the Voluntary Sector Reporting Awards (VSRAs) program has been launched by Queen’s School of Business, PricewaterhouseCoopers Canada LLP (PwC) and the Institute of Chartered Accountants of Ontario. The CA-Queen’s Centre for Governance will administer the awards on behalf of the three founding bodies. The awards are designed to recognize best practices for financial reporting in the not-for-profit sector and will be open to registered charities that produce annual reports in Ontario. Organizations will compete in four categories based on revenue size – less than $500,000, between $500,000 and $1 million, from $1 million to $5 million, and more than $5 million. The winners in each category will receive $5,000. Charities that are organizations whose principal activities are run by or for municipalities, universities, hospitals or school boards are not eligible for this year’s competition. Nominated organizations will be asked to submit their annual reports. Awards will be given to those reports demonstrating the highest levels of accountability and transparency and displaying highly effective communication with beneficiaries, donors and stakeholders. All entrants will be provided with a copy of the technical screeners’ completed checklist so they can see where they met expectations or fell short and use that feedback to improve future annual reports. All three founding organizations are accepting applications for the awards on their respective websites – www.business.queensu.ca/centres/CA-QCG/, www.icao.on.ca and www.pwc.com/ca. The deadline for applying is July 15 and the inaugural winners will be announced in November 2008 at an event in Toronto. CA-Queen’s Centre for Governance (business.queensu.ca/centres/CA-QCG/) goal is to raise the bar on Canadian governance research and convey that research’s implications to fellow academics, students and the public at large. 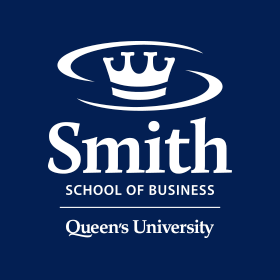 Situated at Queen’s School of Business (business.queensu.ca), one of the world’s premier business schools, the Centre conducts cutting edge basic and applied research on corporate governance issues dealing with such issues as fraud prevention through better internal control and improving Canadian securities regulation. The Centre is also actively involved in the not for profit sector through the associated Fundamental of Governance for Boards of municipal, provincial and federal agencies, and not-for-profit organizations executive development course, case writing, applied research and now the Voluntary Sector Reporting Awards. The Institute of Chartered Accountants of Ontario is the qualifying and regulatory body of Ontario’s more than 32,000 CAs and 4,000 CA students. Since 1879, the Institute has protected the public interest through the CA profession’s high standards of qualification and the enforcement of its rules of professional conduct. Recognized internationally, the CA designation denotes financial expertise, strategic thinking, business insight and leadership. The Institute website is: www.icao.on.ca and the student website is www.ca2b.biz. The mission of the PwC Canada Foundation is to make a positive, lasting change in Canadian communities through the sharing of time, expertise and resources. The Foundation offers multiple programs that provide financial resources to numerous charitable organizations and also encourages and supports the community involvement of PwC’s staff and partners. To learn more, visit http://www.pwc.com/ca/foundation. PricewaterhouseCoopers (www.pwc.com) provides industry-focused assurance, tax and advisory services to build public trust and enhance value for its clients and their stakeholders. More than 146,000 people in 150 countries across our network share their thinking, experience and solutions to develop fresh perspectives and practical advice. In Canada, PricewaterhouseCoopers LLP (www.pwc.com/ca) and its related entities have more than 5,200 partners and staff in offices across the country. “PricewaterhouseCoopers” refers to PricewaterhouseCoopers LLP, an Ontario limited liability partnership, or, as the context requires, the PricewaterhouseCoopers global network or other member firms of the network, each of which is a separate and independent legal entity.